Just back from being the guest host on a wine-themed voyage via Un-Cruise Adventures. Part of my duties involved a daily wine program during cocktail hour. I got to run wild as far as the format and the selection of wines. So I presented a mix from both Washington State and Oregon, with bottles comprising my selections and what was already on the S.S. Legacy. 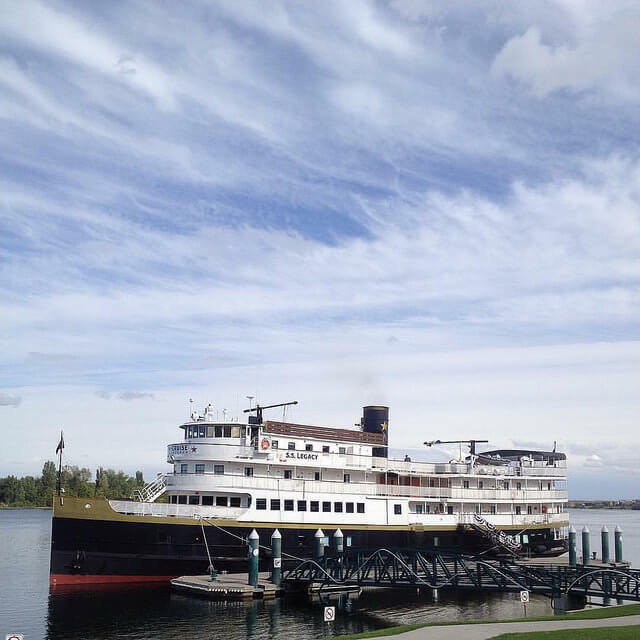 The S.S. Legacy, here docked in Richland, WA. I started things off with an exploration of Oregon Pinot Noir in sparkling and still rosé forms, plus two bottles of red from the 2013 vintage. The first three wines were (warning: going to refer to myself in the third person) Jameson Fink (JF) selections, the last wine was on ship (OS) already. 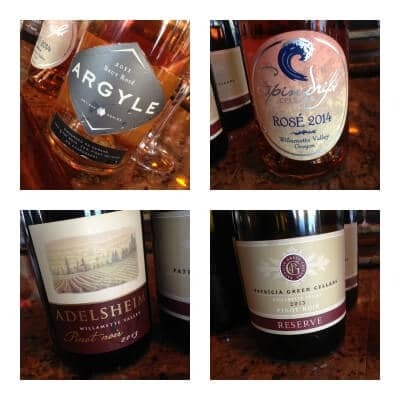 It was heartening to get feedback from guests that though previously not fond of pink wine, the sparkling and still rosés were a pleasant surprise. Same went for the Pinot Noirs. In other words, they didn’t throw me overboard after Day One of the wine program. In fact, the only time I was in the water was when I (voluntarily) took a dip in the Snake River. Perfect selection to make the point there are grapes being grown for wine production on the Seattle side of Washington State. Hailing from the Puget Sound AVA (American Viticultural Area, an officially designated wine region), this obscure white wine grape originates in France’s Loire Valley. 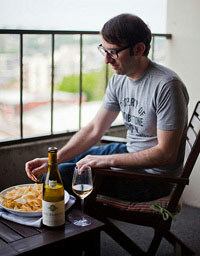 Pair this Madeleine Angevine with mussels from Whidbey Island steamed in (this) wine, some butter, shallots, and herbs. Pacific Northwest perfection! To get an estate grown red wine with grapes from Red Mountain at this price is ridiculously awesome. Don’t be put off by the name! Lemberger strikes a perfect balance between those who like wines light and those who like them brawny. Very Goldilocks and the Three Bears: just right! This may have been the favorite wine I poured the whole trip; I was blown away by how much my fellow S.S. Legacy passengers enjoyed the Kiona. Also, mad props to a winery whose first two grapes planted were Chenin Blanc and Lemberger. Ah, to be on Red Mountain in the 1970s. Keep on spreading that #LembergerLove. 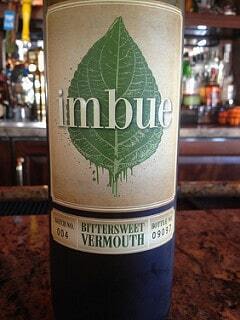 OK, Petit Verdot isn’t the weirdest grape but you rarely see it bottled on its own. Novelty Hill is produced in a shared facility with Januik in Woodinville, Washington. Both have in common Mike Januik as winemaker. He spent a decade as Chateau Ste. Michelle’s head winemaker before starting his own place in 1999. This was a very easy-drinking, approachable Cab. The most complex and intriguing of the trio. If you can get your hands on the Reserve Cab, do. When passing through Woodinville (WA) and have time to say hello to Winemaker Kevin Correll, you must. He’s a good dude. Also, this Cab is aptly name as it is like a double-barrel shot of toasty oak to the palate. Not for the faint of heart. 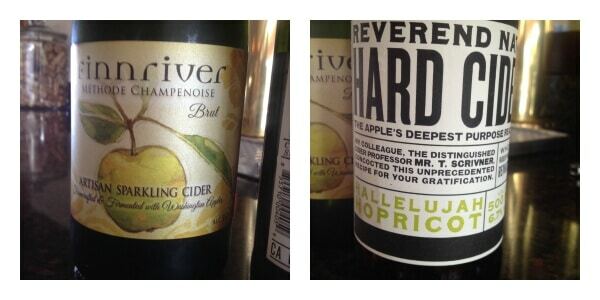 Then I thought, what the heck, let’s break out the cider. This is really cool. A apple cider base that’s made with a Belgian saison ale yeast and added coriander, orange peel, and grains of paradise. Then apricot juice is added to the cider and it’s finished with hops. Though off-dry and rich with apricot flavor, the bitter hops really balance the Hallelujah Hopricot. Beguiling! Wish I could take credit for it! 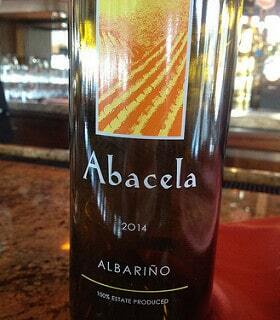 Anyhoo, Abacela’s Albariño is a wine I’ve enjoyed for years and the 2014 is the best yet. Big thanks to all passengers and crew for a great week on the water. Everyone was really open-minded, curious, and engaged. I relished the company, companionship, and camaraderie of all my new friends. The best part of a small cruise experience is getting to know the people aboard. And, of course, drinking wine with them. Note: This post was updated to clarify the relationship between Novelty Hill and Januik. A fantastic write up of your customized Wine Cruise with us on the beautiful S.S. Legacy, Jameson. Thanks so much for your creative and adaptable approach to this inaugural year of Columbia and Snake River Wine Cruising. You were a guest-favorite, and we would love to work with you again. Cheers! Sue Rooney, Director of Product Development at Un-Cruise Adventures. Thank you. The guests and crew were a big part of my success. I had a wonderful time. What a unique and fun way to explore the wines and wineries along the Columbia River. Thanks for sharing. Thank you for your comment; I had a blast.